Pacific and Rapa Nui (Easter Island) volcanologists and geologists have set the stage for the island’s archaeologists working in lithic sourcing studies by providing practical data regarding the island geodynamic activity, geomorphological formation and dating, and the macroscopic, microscopic, and elemental proprieties of Easter Island stone. Drawing upon this information, and the research collaboration between two active archaeological projects on Rapa Nui – the Easter Island Statue Project and the Rapa Nui Geochemical Project – this article presents: 1) a synthesis of a 5–meter field excavation of moai RR–001–156 in Rano Raraku, the moai statue quarry; 2) a 14C assessment which dates human presence around moai RR–001–156; 3) 31 basalt quarry and source site descriptions; and 4) laser ablation–inductively coupled plasma–mass spectrometry and principal component analyses of 21 archaeological and 117 geological samples. Our results trace the prehistoric transfer of basaltic resources from the Ava o’Kiri and Pu Tokitoki complex to the moai quarry at Rano Raraku during the AD 1400’s. This conclusion helps us to better understand sociopolitical and economic interaction during Rapa Nui prehistory. Simpson Jr., D., Van Tilburg, J. A. and Dussubieux, L. (2018) “Geochemical and radiometric analyses of archaeological remains from Easter Island’s moai (statue) quarry reveal prehistoric timing, provenance, and use of fine–grain basaltic resources”, Journal of Pacific Archaeology, 9(2), pp. 12-34. 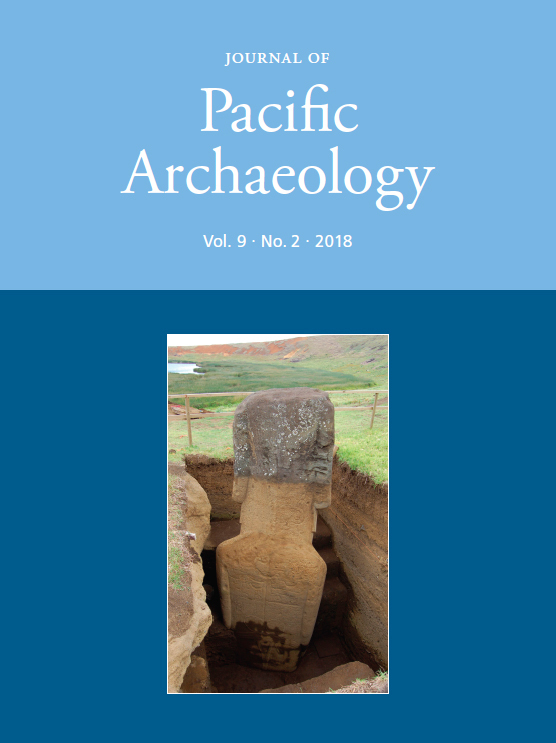 Available at: https://www.pacificarchaeology.org/index.php/journal/article/view/230 (Accessed: 22April2019).